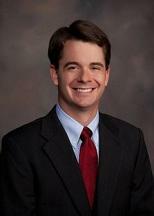 Marshall Digmon is an associate attorney with Morton & Germany, PLLC. Marshall began working with the firm as a clerk in March 2010 and has been with the firm since graduating from the University of Memphis Cecil C. Humphreys School of Law in 2011. Marshall's primary practice areas are creditors' rights and commercial litigation. Marshall also has experience in business advisory matters for dentists and other healthcare professionals concerning employment agreements, non-compete, compliance, lease agreements, and practice sale and purchase.